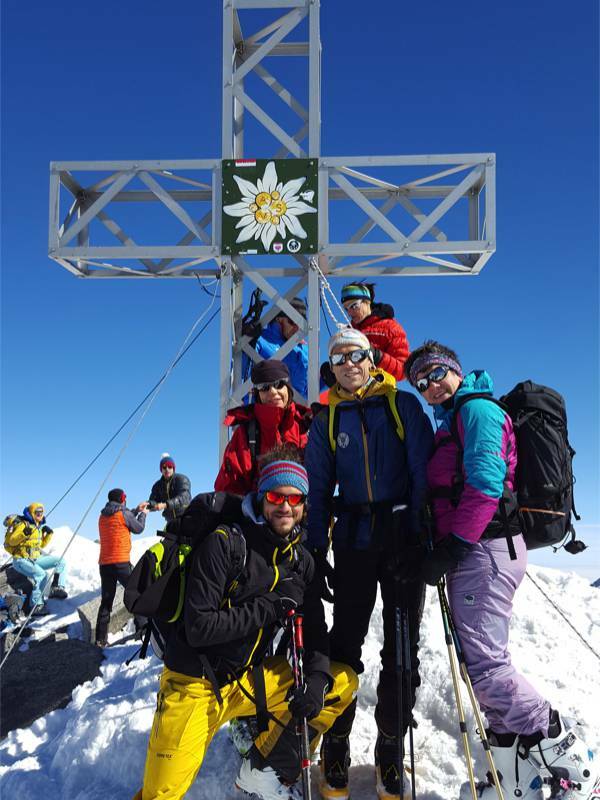 Throughout the winter season group tours are organized offering various technical levels, the excursions range from the Dolomites to South Tyrol all the way to Austrian Tyrol. Ski-mountaineering has always been the maximum expression of skiing. 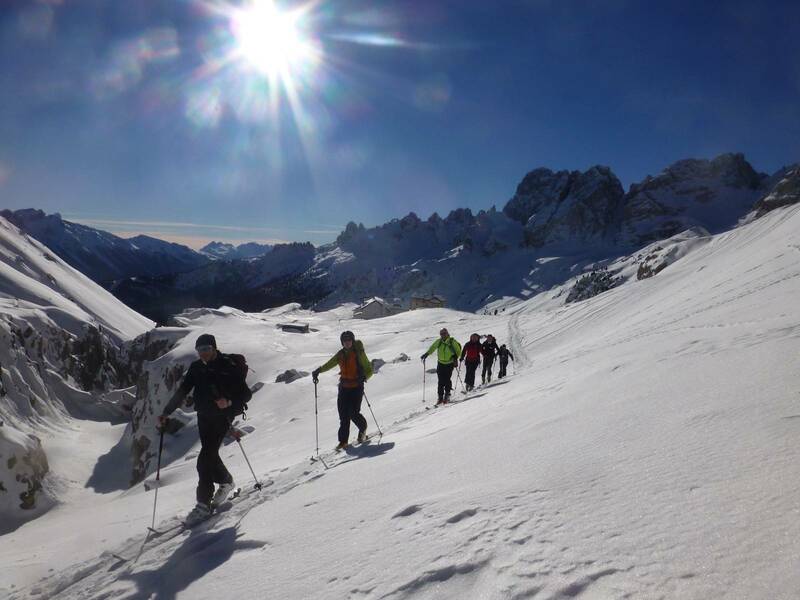 With its ancient origins ski-mountaineering has fascinated entire skiing generations. Open and untouched expanses, thrilling descents in powder snow are probably the reasons for this success. Ai giorni nostri, sempre più persone si stanno avvicinando a questa disciplina. 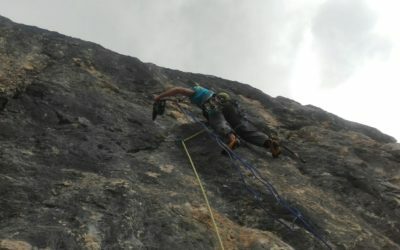 Certo non è una attività per la grande massa, lo scialpinismo è una disciplina più faticosa rispetto allo sci alpino, perché comporta la risalita del pendio o della montagna sci ai piedi, grazie al montaggio delle pelli di foca sotto agli sci e ad un particolare attacco che non blocca il tallone del piede, permettendo di simulare una normale camminata. Once you have reached the top, and after taking the skins off you block the heel to the binding and it becomes a normal downhill ski ready to be used to ski downhill. 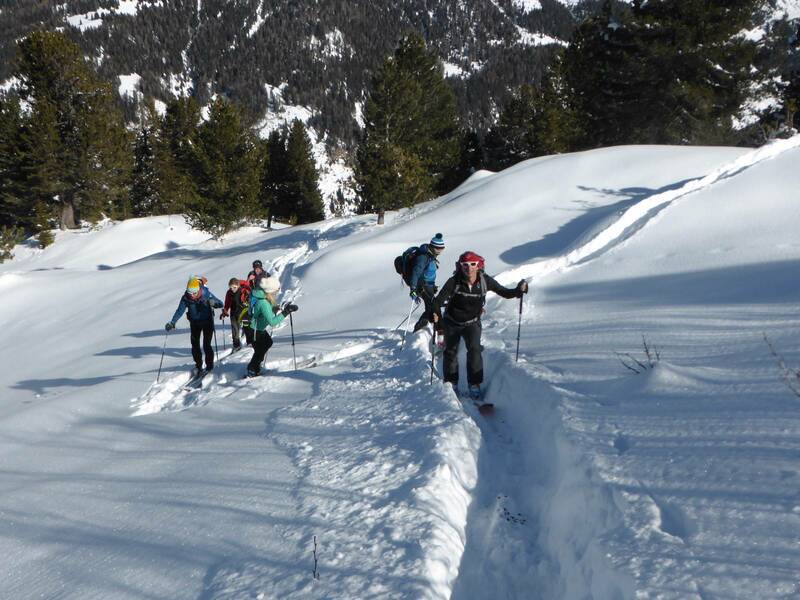 Throughout the winter period I organize group excursions for people interested in this discipline and courses for people who wish to give ski-mountaineering a go and for those who wish to fine-tune their technique. During the winter season, group trips of various levels are organized, the excursions range from the Dolomites to South Tyrol and Austrian Tyrol. The outings vary from day trips to outings with an overnight stay in a mountain hut. We make up small groups with a homogenous technical level. We do not supply a seasonal calendar, destinations are chosen according to the best snow and weather conditions during that period, as well as snow safety. It is possible to be constantly updated by joining the website’s mailing list. 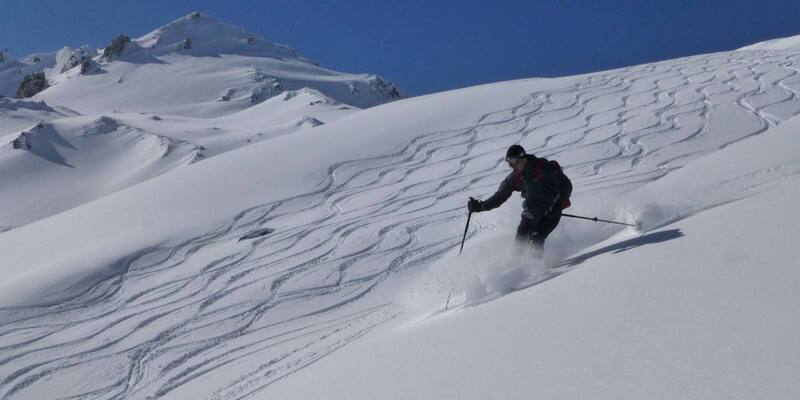 For those wishing to give continuity to their ski-mountaieering activity, it is possible to buy packages of excursions with prearranged dates at convenient prices. The memberships must be booked and agreed upon by November. To find out more ask for the details. 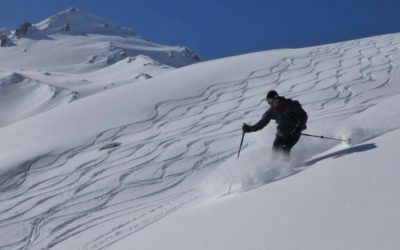 We will help you find out more about this fascinating discipline, how to use skins and all the necessary things to ski in powder snow. 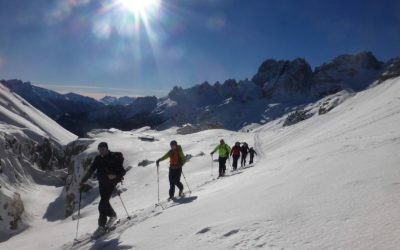 For those who already know about ski-mountaineering we offer courses to fine-tune your technique and personalized day trips. Our standard courses are organized at the beginning of each winter season, usually during the weekends of December and January, and they last on average 2 to 4 days. For those of you missing the necessary gear we supply it through rental at a special price.For more details ask for a programme.